A few weeks ago, fellow writer Gaya documented the viral beginnings of Psy‘s “Gangnam Style,” and it seems that even now the craze is still going strong internationally. Just in this past week, we had Nelly Furtado doing a cover, the video being reacted to by teens, Psy being interviewed by ABC News and CNN GO (in English, no less), showing up at Dodger’s Stadium, and the spawning of countless flashmobs, parodies, remixes and covers all over the Internet and beyond. 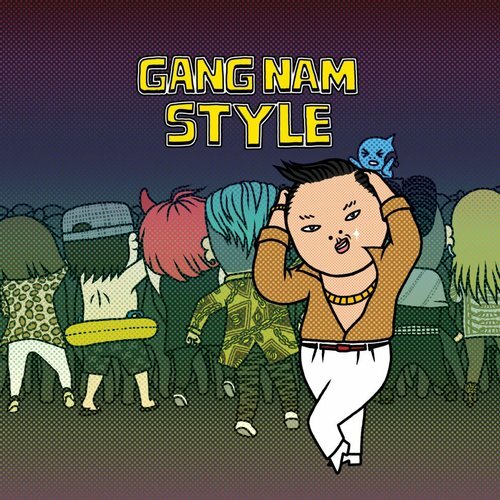 While there are many who argue that the “Gangnam” craze is simply another Internet meme that is not necessarily a prelude to Hallyu invading the West, it’s still undeniable that the popularity of his song seems to be organic and tangible this time around, and not merely manufactured on the hopes and dreams of the Korean media machine. Out of curiosity over just how far the craze has reached, this week we addressed our global team of writers with the following question: To what extent have you observed Gangnam Style crop up in your normal, everyday (non-K-pop) life? What do you think will be its lasting effect, if any? 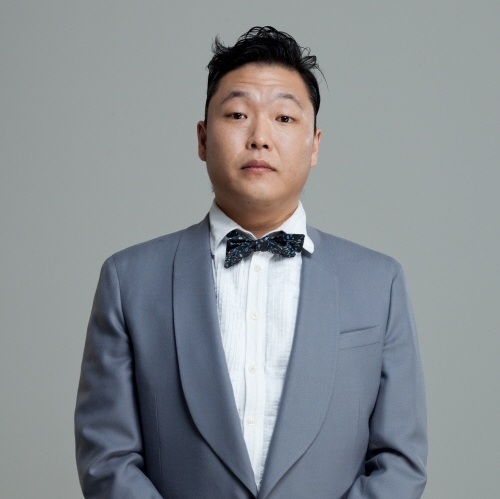 Gaya: So right now, it’s being reported that “Gangnam Style” is number 1 on the US iTunes MV chart and Psy himself has conducted a solo flashmob at a baseball game–in L.A. I admit I was doubting whether Psy would gain anything substantial from this viral craze other than notoriety despite having the credentials to successfully enter the western music market (fluent English, talent, etc. ), but the growing attention is making me think that Psy could in fact cross over into the US market, if he so wishes. Of course, this isn’t a certainty–this craze could be just a bubble, bursting as quickly as it grew; in any case, I’m not expecting anything from this until Psy is signed by a US label. I still want him to meet Ellen Degeneres, though (hopeful Ellen fangirl is hopeful). Fannie: This past week, quite a few of my strictly non-Kpop listener friends came up and talked to me about “Gangnam Style” and how they love everything about it and can’t get it out of their heads — that’s when it really hit home for me how widespread its popularity is now. Although Psy does have fluency (to an extent) in English, it really was a moot factor in his rise to viral popularity. People like Psy precisely because he brings something different from what they’re accustomed to at the table, rather than being a watered down imitation of what they have regular access to every day. People also view him as ‘that crazy Korean guy’ so I don’t think they expect him to even be fluent, although it helps. English is just the icing on the cake — making him accessible to communicate with his new-found audience (interviewing with ABC and CNN in English, as well as briefly appearing on the set of VH1) after his popularity has already been established. Fatouma: Ellen and Psy. YG needs to make this happen. I usually judge a song’s popularity if it manages to break into my everyday life, especially when it’s a song coming from the States. If it’s playing on repeat in Canada, it’s definitely popular around the world. Although I haven’t heard the song playing on a radio station per se, the most popular radio station in my area posted the MV on their Facebook page and I found some friends raving about it on my Wall as well. Being into K-pop has for so long felt like it was my own special bubble and it’s weird seeing people get into a K-pop song that’s purely K-pop, especially when it’s a good song like Gangnam Style. However, I don’t think that K-pop should get its hopes up just yet. Just like Gaya said in her article, Gangnam Style is just a fad/meme, and like all memes and fads, it’ll get old, if it hasn’t already. But perhaps Psy’s international success with Gangnam Style could get Korean entertainment companies thinking that getting mainstream attention on an international level doesn’t mean working so hard and desperately to break in. Sometimes, good things happen without trying so hard to make it happen. Patricia: The funny thing, though, is that there will probably be at least one K-pop act that will attempt to purposefully meme its way into an “international debut” a la “Gangnam Style.” It seems as if international activities amongst K-pop acts is just one big game of Follow The Leader, and while trying to achieve memedom generally results in abysmal failure (see: almost single song Super Junior has released since “Sorry Sorry”), I’ll bet that someone’s gonna do it. K-pop has done dumber things before, after all. Gaya: I haven’t listened to commercial radio in a while, so I went on an internet search to see what it thought of Psy only to discover that one of my favourite radio show hosts is not only a K-pop fan, but that he’s been making multiple Facebook updates about it all throughout August with the latest being a Psy-Nicki Minaj mash-up of his own creation, bless his soul. I wonder if he’s played the song on radio yet (he probably has). Nicholas: Having been in an environment where K-pop is largely a sub-genre, it’s very interesting to now have “Gangnam Style” bring K-pop into the mainstream. There are local paper articles talking about how the song and its dance have become staples at the nightclubs, as well as the stream of parodies that have followed. Add to that how the song is often heard blasting from someone’s MP3 player, and it’s safe to say that “Gangnam Style” has made K-pop vaguely cool in many circles. And how everybody seems to like doing that horse-riding dance in front of me. Still I would not say the song is helping to make K-pop the jam of choice of the world. After the initial craze, there has been little follow-up by anybody on other songs within K-pop (or come to think of it, the “Gangnam Style” follow up). For what it’s worth, the whole thing might appear like the “Nobody” craze not too long ago, where the world also enjoyed a Korean hit, leading to delusions of grandeur, which then led the song to being overplayed, making it really uncool. Also, this might be different from the friends you know, but there are some people in my circle who consider this song very overrated, for how it seemed to make K-pop an open secret, and being nothing new for the seasoned listeners. A good analogy would be how one has paid his/her dues to enter a rather exclusive club, only to have the nouveau riche come in a few months later, crash the party and then leave. Maryse: Before “Gangnam Style” came about, my colleagues barely paid any attention to K-pop even though we work in a TV station that deals a whole lot with music — in fact, music is all we deal with; especially Asian music. However, 2 weeks after the song’s release, I hear it every single day in the office without fail and lunch time chatter has since been about Psy’s music video and him “taking over the world”. And like what Nicholas said, K-pop is pretty much a sub-genre in Singapore, and it’s immensely popular towards the younger age group. But I find it pretty amazing to witness how older people who used to detest or show no interest in K-pop, get fascinated by Psy’s “Gangnam Style” MV and have actively been sharing the video with their friends; I even walked past an adult in his 40s sharing the music video to his friend while heading to a mall the other day. By the looks of it, this craze doesn’t seem to be dying down any time soon with parodies popping up every other day. So if Psy and YG continues building up and riding along this wave the right way, Psy could very much be the only K-pop act that will manage to successfully cross over to the United States. Things seem to look positive for him anyway — rumours of him signing to Justin Bieber‘s agency is getting me all excited for his possible American debut. And yes, Ellen and Psy needs to happen. Ambika: I haven’t actually run into “Gangnam Style” or anything Psy-related in my normal life. Other than the links I find to parodies or news like Psy’s impromptu dancing at the Dodger’s Stadium, I haven’t encountered any sudden converts to K-pop or recognition of it outside the people I already know are into K-pop. I’m inclined to agree with others that this is just a passing craze. While it might incur some interest into K-pop, I doubt it’ll be anything substantial because Psy’s type of music, or at least that which “Gangnam Style” advertises, isn’t the type that most K-pop groups are doing. Though there’s always the possibility that those other types are attractive to some of those viewers that Psy pulls in. Like Gaya, I think there will be a lasting effect if Psy signs to a U.S. label and seriously pursues music in the U.S. It’ll probably depend on his next song in the U.S. (should the signing happen) and whatever success or failure it garners. Though I wonder if Psy does sign with a U.S. label if that would inspire American companies to look to K-pop groups or companies for talent to bring over. Johnelle: In my daily non K-pop life there hasn’t been much “Gangnam Style” other than a couple of FB friends reposting the video as “South Korea’s Electric Slide.” I have been getting notices almost everyday though about some new article about how “Gangnam Style” is taking over the world, a cover of the MV, or other celebrities doing the horse riding dance. As far as how the ‘virality’ of “Gangnam Style” will effect K-pop I think there are positive and negative aspects. Of course the positives is the exposure that K-pop is getting due to the attention that PSY’s “Gangnam Style” is generating. Because people are interested and enjoying “Gangnam Style” they get curious about K-pop in general and they start looking up other K-pop acts and bam! You get another K-pop fan. The negative aspect of the exposure is that “Gangnam Style” is not indicative of your average K-pop song and people might get the wrong impression because of that. “Gangnam Style” is a fun, dance song and has comedic roots in both the song and MV, but I would hate for those new to K-pop to expect the genre to be a joke. Paloma: Johnelle basically just said what I was going to say: even if “Gangnam Style” becomes a global phenomenon and not just a passing craze (which I doubt), it does not represent the majority of K-pop at all, so try to show someone who enjoyed Psy a SNSD MV and see if they even think it’s the same genre. “Gangnam Style” became famous because it is funny and doesn’t take itself too seriously, and that’s not the norm in K-pop, so as a way to expand the K-pop craze internationally, I don’t think it will work. Nicholas: That was maybe the what killed off the “Nobody” craze. To the non fans it must have been like, Was that the only trick up their sleeves? At the end of the day i still stand by my original point of view that it is really a niche kpop song gone viral and a fad unless something more concrete happens. Maria: I second that, Paloma. I haven’t seen “Gangnam Style” so advertised in my country either. Actually, not even K-pop-dedicated sites haven’t been that enthusiastic about it. Maybe Eastern Europe catches later on trends; I don’t know the explanation. Point is: it’s not even a thing here and I have a hunch that Psy’s success was in the countries that already had a solid K-pop niche. As for the future, yes, I think it’s a fad; it’s not even representative for K-pop as a music genre. 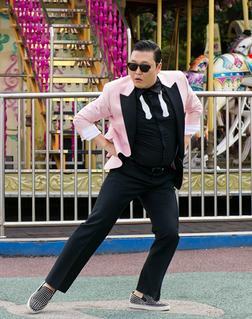 Even if Psy releases music in the States, I doubt it will be catchy enough to ride on his Gangnam glory. It’s not necessarily a bad thing though. These type of fads brings more attention to Korean music and I find it fortunate that the song which received a somewhat international recognition was a good one. It takes more than a splash to turn people into K-pop fans and a track is not enough. But if these things keep happening, maybe K-pop has a chance to be taken seriously outside the already-existing fandom. What bothers me though about this whole craze is the way people perceive Psy. If you watch that ‘Teens React to Gangnam Style’ episode, most of them think Psy is crazy because he is Asian and I’ve seen this usually in non K-pop sites. It’s like ‘Look what these Asians can do,’ ‘Only in Asia’ or ‘Weird Asian dude;’ Psy is not random because he’s Asian; Psy is random because he’s Psy. Dana: I guess I should have been tipped off to the fact that “Gangnam Style” was actually making waves in the US because my brother, who knows nothing about K-pop unless it comes from me, informed me that he was already aware of the “guy who does the cowboy dance.” Go figure. I’m glad to see so many people enthused by the song, dance, and accompanying music video, but it really is unfortunate to me that it’s been written off as a novelty piece. For people who know South Korea, the song is all the more hilarious — Psy pokes fun at Gangnam’s glitterati and their tendencies to overspend on luxury items in a vain attempt to look cultured and classy, but most Americans wouldn’t really get that. If anything, I hope that it spurs curiosity in a good way regarding Korean pop music, but it wouldn’t really be unexpected if it blew over in a few days to a few weeks. Patricia: Agreed. And I also agree with you, Maria, in that half of “Gangnam Style”‘s novelty in the West is probably because people find the image of a crazy guy dancing through the streets and screaming at butts to be flipping hilarious, and it’s even more hilarious because he’s Asian, he’s singing in a foreign language — and heck, let’s even throw in the fact that he’s doesn’t fit the ideal size or shape of the stereotypical attractive male, Asian or non-Asian. At this rate, “Gangnam Style” is nothing more than a meme, because let’s face it: music snobbishism runs far too deep in the US and other Western countries for anyone to come out and say that they seriously like “Gangnam Style” as a piece of music and are curious to find out more about K-pop because of the music. The popularity of “Gangnam Style” rests more with the novelty of the music video than the actual song. And the music video is great because of its hilarious social commentary — but like you said, Dana, most Americans won’t get that. All they’ll get is this silly-looking Asian man doing a funny dance alongside other similarly silly-looking Asian people doing silly things. And while any person of any ethnicity can evoke chuckles for being silly, let’s not pretend that Asians aren’t especially susceptible to ridicule when it comes to general silliness. William Hung was funny because he was a terrible singer, but he was funnier because he portrayed the Asian nerd stereotype to a T. And let’s not forget how Westerners constantly pull random things from Japanese pop culture, all pointing to the conclusion that Japan is a weird place with weird people. The same can easily be said about “Gangnam Style” and its viral appeal, which is why the Gangnam craze — though impressive — makes me rather apprehensive.